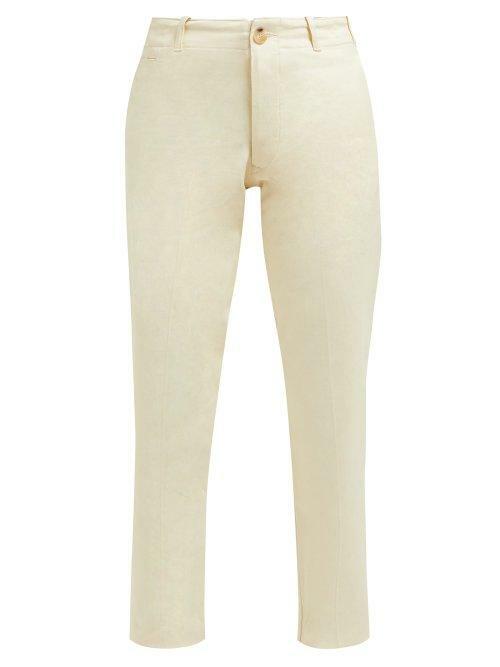 Holiday Boileau - Holiday Boileau's ivory-white cotton chino trousers turn to reveal two unexpected elements: silver-tone metal buckled waist tabs and curved welt pockets. They're crafted with a flattering high rise and loose legs with pressed creases. Tuck in a striped T-shirt for a relaxed weekend appearance. © Copyright 2018 - LookMazing, Inc.